Our recent blog post showed 4 Frankel candidates entered for the 2000 Guineas. Now it's the turn of the fillies' Classic over one mile. So how many of Frankel's progeny are earmarked for 3:35 Newmarket on Sunday 6th May? Just a couple of contenders. Contingent trained by Dermot Weld. This daughter of Frankel is out of a Group 1 winning mare who achieved a highest official rating of 112. Contingent made a winning debut at Leopardstown when racing over one mile on soft going. This 9/4f was backed from 3/1 and won in ''comfortable'' fashion. This bay filly isn't the betting for the 1000 Guineas but that may change nearer the race. However, she has been given as a possible entrant for the Epsom Investec Oak (1st June) and ante-post price of 25/1. In addition, the Darley Irish Oaks (Group 1) (fillies) is penciled in at the 5:45 Curragh 21st July 2018. The other hope is Veracious trained by Sir Michael Stoute. This daughter of Frankel is out of a Group 1 placed mare. Veracious finished third when 3/1f at Newbury back in September. However, she put in a fine display second start at Newmarket when the same odds, drawing clear of twelve-strong field to win by four ''easy'' lengths. This bay filly is owned by Cheveley Park Stud at presently priced 20/1 to win the Qipco 1000 Guineas. 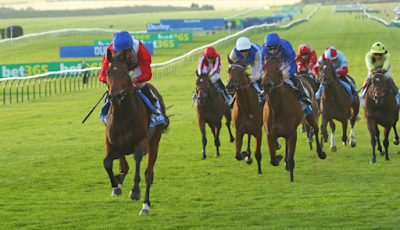 Take a look at the 1000 Guineas entries here.